Chicago, get ready for a new way to host a party! 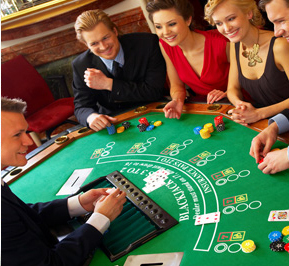 Chicago Casino & Poker Rentals is Chicagoland’s premier full-service casino event provider. With casino grade tables and equipment, and energetic and personable professional casino dealers, we provide everything you need to host a unique and memorable casino event. We work exclusively with individuals, corporations, and local charities to provide well-planned and exciting casino-themed experiences. Our dates are filling quickly, be sure to call 847-829-4513 today.